Perhaps levelling the sharpest criticism so far against the Budget 2019 presented last week, a top economist and a commentator of socio-political issues charged that the budget lacks clear direction as it tries to be everything for everyone and its attempt to micromanage the economy is futile with a bloated cabinet and an inefficient public sector. 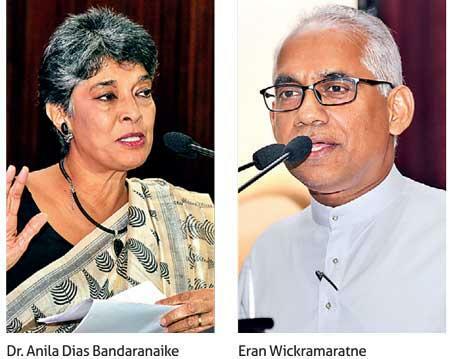 While appreciating the candid attempt made by the government to address the issues facing the economy such the need for labour market reforms, the former Central Bank Assistant Governor Dr. Anila Dias Bandaranaike said the Budget 2019 has failed to identify priority areas and give effect to some tough structural reforms, which could help the country move forward. “The budget lacks focus because there are too many ad hoc proposals”, said Dr. Bandaranaike speaking at a post budget seminar organised by the Chartered Institute of Management Accountants (CIMA). “First of all, no priorities identified for sustainable development. I would have liked to have seen a budget focus on a few key long-term macro-economic priorities. This (budget) was like batting all around the wicket and it is a little bit of a pre-election budget. But that’s okay because we have to accept that it is necessary”, she quipped. Finance Minister Mangala Samaraweera last week presented his second budget and the fifth by the government that closely resembled its socio-market economic principles promised when coming into power. Samaraweera often likes to describe his budgets as policies designed to give fishing rods to the fishermen instead of giving them the fish. Last week’s budget was also the first by the United National Front led by the United National Party (UNP) after the broken marriage with the Sri Lanka Freedom Party in December last year. Although this was presented in an election year, the budget was not totally irresponsible and left very little areas for even the Opposition to hit out at. However, much will depend on the implementation which many have pointed out. Dispelling the myth that budget implementation falls only upon the Finance Ministry, Dr. Bandaranaike said everybody including Parliament, public finance oversight committees, civil society and media have a responsibility towards ensuring the implementation of the budget. The Budget 2019 has been developed on the thrust of promoting a true enterprise culture under a liberal market philosophy against a crony capitalism which thrived on rent seeking oligarchs. “We have taken a decision, a decision to continue on a fiscal consolidation path, the path to fiscal discipline,” stressed Eran Wickramaratne, State Minister of Finance delivering the keynote speech at the event. “When I meet people, they often tell me what you have to keep in mind is that we are in an election year and what is crucial today is to remain in power. “The reason why we lag behind and why other East Asian peers moved fast ahead of us because our politicians listened to these for 70 plus years,” said Wickramaratne. The budget allocated significant funds to reform the labour market and education sector along with encouraging entrepreneurship, key ingredients to accelerate sustainable economic growth. “Who we are, who I am is because of the opportunities and not because somebody is smarter than somebody else,” Wickramaratne told the gathering of business executives pointing out the need to provide opportunities for the country’s labour force to improve its skills. Meanwhile, Dr. Bandaranaike pointing at the recurring expenditure, which is higher than the total revenue, urged the government to increase its revenue and rationalize the recurrent expenditure as Sri Lanka has been borrowing for its capital expenditure and debt servicing creating a never ending vicious cycle of macro-economic instability. She proposed to expand the tax net on professionals who are evading taxes for ages and cutting down on wasteful expenditure to reach the goal. “Otherwise everything will be a pie-in-the-sky wish list. This is something that I have been saying for ten years and not just for this budget,” she said. She however expressed her skepticism over the implementation of the budget and quipped the macro-economic impact of the budget would be, “business as usual and the life will go on”.